For the past couple of years we've noticed a shift in focus of dominant players in the smartphone space. As the smartphone market moves from rapid expansion to a maturing phase, the companies on top don't want to be left behind in the same way the notebook PC vendors were at the start of the smartphone/tablet race. At the same time, continued reduction in transistor feature sizes and power consumption have enabled a new class of low power SoC. ARM's product offerings in particular extend both up and down the power curve. There's Cortex M for ultra low power devices, often perfect for wearables, and then a range of Cortex A CPUs for higher end wearables all the way up to smartphones, tablets and eventually servers. Initial successes in the wearables space were specialized pieces of hardware. For example, pedometers and health trackers like the Fitbits of the world. Most of these designs leverage Cortex M series CPU cores. More recently however we've seen a more serious push into the world of smart watches. Initial plays here were more disorganized in terms of hardware and OS selection, but we're beginning to see some consolidation on the heels of Google's Android Wear announcement. 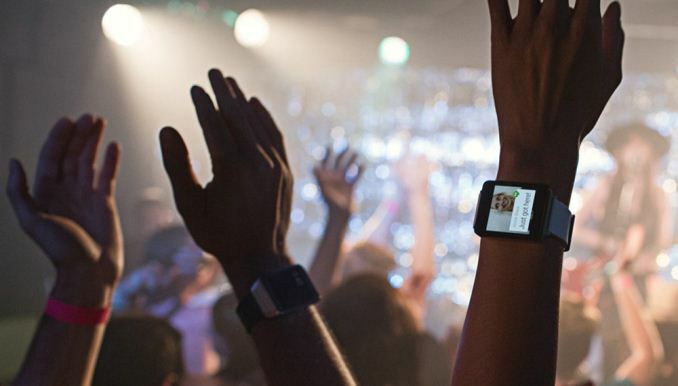 At last month's Google IO we saw the first official Android Wear devices launch from LG and Samsung. Later this summer we'll also see the arrival of the Moto 360, an arguably much more appealing Android Wear device thanks to a greater focus on design. I've spent the past couple of weeks with LG's G Watch and am still toying with the best way to present my thoughts on the device. In short it seems like a great platform if you're a developer, but honestly lacks the battery life (I measured under 9 hours of actual use, display on but dimmed on a single charge) and feature set today to really convince me as a consumer. Last month we soft launched our new Wearables content section at AnandTech, with ARM graciously agreeing to be a launch sponsor. ARM's support will allow us to likely do some wearable giveaways in the not too distant future too. The path to wearable computing becoming something more substantial however demands a lot of things to change. If we're talking about watches we need better battery life, the functionality needs to improve as well (although I am impressed by some of what's already been introduced for Android Wear). I'm curious to get your thoughts on the wearable space. What would it take for you to add yet another computing platform to your life? Is anyone out there waiting for the perfect smart watch? I know I stopped wearing watches nearly a decade ago, and to go back I'll likely need quite a bit of convincing in terms of a great product. If you've got thoughts on this space, we'd love to hear them as they'll help shape our coverage going forward. Leave your comments below. You can't even be bothered to put on a pair of glasses?? I understand that a lot of progress has been made technologically in a short amount of time, but we're not operating on magic here. "I'll just wait for some contact lenses that have COMPUTERS IN THEM and do all this pass-through imaging and stuff." Let's be a little realistic here, lol. I'm sure we'll come up with something, but as fair as the wait for that, I wouldn't hold my breath if I was you. I think glasses make a lot of sense, if they have the right setup. Watches, I think, are probably the netbooks of the wearables realm lol. They just don't make any real sense from any angle in terms of actual utility. I'll pass on that, I'd rather be the only person the planet without a computer implant than have even one. Seriously? If you have a screen implanted in your eye for example you could end up looking at blackness, random images or other debilitating things until you get someone to remove the virus from your implant. If you have an implant that relays audio you could be deafened (either temporarily or possibly permanently).